In 2017, $146 billion was spent on aid and development. Even this large sum remains a fraction of what would be needed to achieve the UN’s Sustainable Development Goals (SDGs). Yet, despite the scarce resources, there is surprisingly little discussion about setting priorities in development spending. In international polls and on the world stage, developing countries are very clear about their priorities: Improved health care and education, more and better jobs, less corruption, and solutions to nutritional challenges. Unfortunately, these areas are not necessarily where rich countries direct funds. In fact, if current trends hold, the world will fail to achieve the SDGs’ targets for 2030 in a host of areas: Maternal mortality, tuberculosis, family planning access, HIV, non-communicable disease mortality, pre-primary and primary school access, stunting, wasting, undernourishment, violence against women, birth registration, water access, gender equality in public leadership, sanitation access, and air pollution. But, instead of allocating development funding to try to speed up progress in these areas, much of it is being directed elsewhere. To take the most glaring example: The Organisation for Economic Co-operation and Development estimates that more than 20 percent of development aid is being spent on climate change-related projects and activities. Clearly, more could be achieved in health, education, and other areas if one-fifth of development spending did not go toward projects like rolling out inefficient solar “microgrids,” which tick a “climate” box for donors but do little to transform lives. Climate concerns rank last or near last among policy issues in global polls of developing countries. How could development funds be better used? Cost-benefit analysis can play a vital role in shining a light on interventions and investments that achieve the most for every dollar spent. The Copenhagen Consensus Center, the think tank that I lead, undertook a comprehensive study of the 169 SDG targets. It examined the entire menu of development options and added prices and detailed information about what each could achieve. This analysis revealed that, of the 169 targets, 19 represent the best value for money. Climate concerns rank last or near last among policy issues in global polls of developing countries. Consider the often overlooked — and politically frowned-upon — development target of universal access to family planning, which the analysis showed would cost $3.6 billion annually. Ensuring that women have control over pregnancy would mean 150,000 fewer maternal deaths and 600,000 fewer orphaned children per year. It would also lead to a demographic dividend, boosting economic growth. The total benefits to society from every dollar spent would reach some $120. Similarly, investment in child nutrition pays lifelong dividends because a healthy diet enables better brain and muscle development. Well-nourished children stay in school longer, learn more and end up being much more productive members of society. The evidence suggests that providing better nutrition for 68 million children each year would produce more than $40 in long-term social benefits for every dollar spent. Or consider tuberculosis, the planet’s most deadly (and most overlooked) infectious disease. 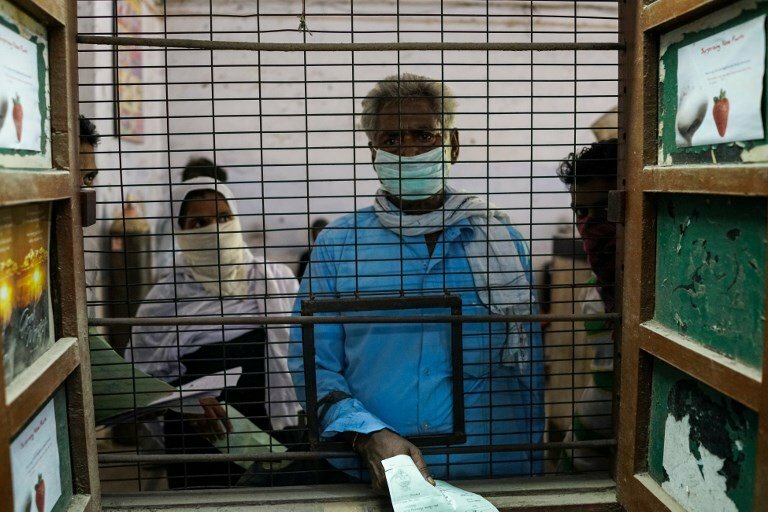 Tuberculosis hits the world’s poorest people and mostly affects young adults at an age when they have just become parents and economically active. Families lose incomes and children lose parents. Our analysis shows that investment in expanding tuberculosis testing and treatment delivers $43 of social benefits for each dollar spent. An expert panel of economists, including two Nobel laureates, found that every dollar spent on these and the rest of the 19 most effective global development targets would return $20-$40 in long-term social benefits. In contrast, allocating funds evenly across all 169 targets would yield benefits worth less than $10 per dollar spent. In other words, focusing first on taking the most effective actions would be the same as doubling or even quadrupling the aid budget. Cost-benefit analysis by the Copenhagen Consensus Center is now helping set national priorities in Bangladesh and Haiti, and at the state level in Rajasthan and Andhra Pradesh in India. In Bangladesh, the findings have supported the government’s roll-out of more efficient and transparent e-procurement policies and more focused nutrition initiatives; in Haiti, they are underpinning the decision by the government and donors to fortify local flour with vital micronutrients to save young lives. The challenge is to expand this approach further. Cost-benefit analysis should not dictate how every aid and development dollar is spent. But the clock continues to tick toward 2030, and the world is behind schedule on many of its development targets. If we ignore economic efficiency, we risk failing to make the needed progress against humanity’s greatest challenges.